According to the estimates released by various authorities in the UK, it is easy to see that the number of road accidents across Britain has increased in recent years. The huge increase in traffic is thought to be the main reason for these increasing numbers. With as many as 650 thousand to 800 thousand people injured annually in these road accidents – that’s only considering the accidents that are reported to the police – changes keep being made to the Road Traffic Act to protect the injured. One of the clauses in the Road Traffic Act focuses on the rights of innocent victims who are injured in road accidents due to no fault of theirs, which is unfortunately a common occurrence. No matter how careful a driver you are, it does not mean you will never meet with an accident. Other rash drivers, bad roads, pedestrians trying to cross the road, utility poles, road repair work, road debris and animals cross the road are just some of the more common reasons why accidents happen even with careful drivers. When this happens, it is good to know that you are entitled to compensation for all financial losses related to the accident. This includes all short and long term medical expenses to treat your injuries, the cost of travelling to the hospital and back for your treatment and the loss of income from not being able to go to work because of your injuries. If your vehicle was damaged in the accident, you are also entitled to getting the vehicle repair cost reimbursed. You may also be entitled to claim for the mental anguish that the accident caused. Under the Road Traffic Act, your right to compensation is covered whether you are a driver, a passenger or a pedestrian. This is because the Courts in England and Wales recognise that all road users, whether they are cyclists, pedestrians or drivers, have a responsibility to ensure that they do not endanger any other road users. In other words, all road users owe each other a duty of care. 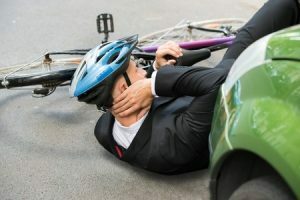 In the UK cycle accident claims are mostly against vehicles. To win a road accident compensation claim, you must be able to provide concrete evidence that your injuries were caused by the accident and that they were not due to any other reason. Secondly, you must be able to prove that the defendant, whether it is another driver or the road repair contractor, was responsible for the accident. The compensation that is awarded will vary greatly depending on the type and severity of the injury. Road accident victims can claim compensation for minor and major injuries including cuts and bruises from broken glass, wrist, ankle, shoulder or back pain, whiplash injury or injuries to the kidney, chest, eye, neck or liver. The Highway Code includes a set of road safety rules that are applicable to motorways in the UK. Because the different driving conditions are different and so are the circumstances, these rules vary slightly from city road safety rules. The rules included in the Highway Code aim to reduce accidents on the motorway and cover various aspects including safe distances between vehicles, speed limits, overtaking, slow-moving traffic, emergencies, breaking down on the motorway and poor weather conditions. Witness statements play a huge role in claims related to road accidents in the city. However, with accidents on the motorway, obtaining a witness statement can be almost impossible. In such cases, the defendant’s conduct is taken into consideration when making a decision. If a truck was involved in the accident, the tachogram will be inspected in order to determine whether or not the truck driver was at fault. A tachogram is a device that is installed in all trucks. This device records the truck’s speed at all times as well as the distance it has travelled. All breaks that the driver took along the journey are also recorded. All of this information helps if and when the truck is involved in any collision. Only someone who has actually been in an accident can understand the impact it can have not just on them but on their family as well. First there are the physical injuries that need to be attended to. Depending on the severity of the accident and the injuries, this could take anywhere from several months to a year or more. Some injuries can also be permanent. The physical injuries can have far reaching consequences. The medical bills for the immediate treatment can be significant. This could be compounded if you have to undergo extensive, ongoing physiotherapy or some other ongoing treatment. If you are unable to go to work, you may end up having to deal with loss of salary for those missed days of work. You may also lose out of promotion opportunities and other perks. Depending on the injury, if your mobility is restricted, you may need to make a few changes in your home to make it easier for you to still take care of your daily activities without being totally dependent on somebody else. For example if you are in a wheelchair, you may need a stair ramp or modifications may need to be done to the bathroom. You may also need to have to make some modifications to your vehicle so you do not have to depend on others for your transportation. All of these factors can have a considerable affect on your quality of life and can add tremendous stress, leading to mental and emotional anguish. When the Court is making a decision regarding any road accident claim, their main aim is to try as much as possible to ensure that the compensation awarded is enough to allow the injured claimant to return to the place they were in prior to the accident. If this is not possible because of the nature of the injuries, then the Court at least ensures that the compensation is enough to cover all medical treatment, ongoing care and other expenses brought on due to the accident. The amount of compensation that you will be awarded will depend on several different factors, including the type and severity of your injuries. It could be that you were partly responsible for the accident in which you were injured. In that case too you may still be entitled to claim compensation for your injuries. You can also claim for compensation if something you did or did not do (such as wearing a seatbelt) caused the injuries to be more severe. 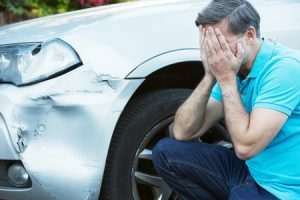 In road accidents in which the responsibility lies with both the defendant as well as the claimant, a split liability agreement is used to decide on the final compensation amount to be awarded. According to the terms of a split liability agreement, you will still be awarded some amount of compensation if you meet all of the entitlement criteria but the final amount will be reduced by a certain amount depending on various factors. When you claim compensation for a road accident, it does not get filed against the offending driver. The driver’s insurance company is responsible for answering the court summons and making the compensation. For many road accident victims, the big question is, what happens if the offending driver does not have any insurance? How do they get the compensation that is due to them? Another problem arises in hit-and-run cases. Who do you file a case against if you do not know who the offending driver is? In both cases above, whether the driver is untraceable or the driver does not have any insurance cover, you can still file a claim and get your due recompense by filing the case with the Motor Insurers Bureau or the MIB. The MIB was specifically set up to ensure that all road accident victims of untraceable and uninsured are fairly and promptly compensated. When you file a claim with the MIB, you have to be prepared to wait longer for a decision and to accept a lower award amount but the fact is, it allows you to at least get some financial compensation instead of settling for nothing at all. Is it easier to simply settle with the insurance company? Not surprisingly, insurance companies are not too happy to make big payouts even and will try their best to avoid going to court. Their immediate reaction is to try and get in touch with you and get you to settle out of court for a fixed amount. Many people accept this offer because it sounds attractive enough and also because it helps them stay out of court. The fact is, no matter how attractive the amount sounds, whatever the insurance company offers is significantly less than the actual amount that is due to you. They may make it sound like they are looking out for your interests and are trying to save you the trouble of going to court where there is also the risk that you may lose the case and not get any compensation at all. There is no truth to any of this. No insurance company is interested in your welfare. In offering you an out of court settlement, they are only protecting their own interests because they know that going to court means they will have to pay out much more. Once you accept this offer, you will have to sign an undertaking forfeiting your right to seek any further compensation in court. This means if, at a later stage, you find that the amount you settled on is not enough to cover your medical expenses, you cannot now go to court and file a claim for more. If you are injured in a road accident, it is always advisable to get a personal injury lawyer who will protect your interests and work to get you the maximum amount that is due to you. You should not settle for anything less with the insurance company. The statute of limitations for road accident claims is three years. This means the claim for compensation must be filed within three years from the date of the accident. Any claims filed after three years may be rejected. The Court can and does waive this three year limitation but only if there is a very valid reason. Hiring a personal injury lawyer to represent you allows you to focus on healing while the lawyer works on getting the necessary evidence and putting together a compelling case on your behalf. A personal injury lawyer will try and obtain CCTV footage from cameras in the area where the accident occurred. They will also talk to witnesses, get witness statements and consult with medical experts in order to get a better idea of the severity of the injuries and the projected treatment necessary. Lawyers also have access to legal libraries where they can check up on precedents that they can leverage to get you the maximum compensation possible. If you have a strong case, most personal injury lawyers will agree to represent you on a No Win No Fee basis so you do not have to pay any upfront legal fees. You only pay after the case is closed and only if you have won the case and received the compensation. When you hire a personal injury lawyer to file your road accident claim, you can expect that they will leave no stone unturned to put together a strong case on your behalf. To help put this together, there are a few things you can do. Immediately after the accident take plenty of photographs of the accident site. Get photographs showing your injuries and damage to your vehicle. Also get photographs of the surrounding area. If there are any CCTV cameras in the area, ask the owners if you can get a copy of the footage. Collect the contact information – phone numbers and addresses – of the witnesses so your lawyer can get in touch with them to obtain their supporting statements. Go to the nearest police station and file an accident report. Keep a copy of that reports. Keep receipts of all expenses and also keep a copy of the doctor’s diagnosis and recommended treatment. Stay in touch with your lawyer throughout and provide them with all the necessary documents and the latest information such as medical updates promptly. This will help them work quickly to put together a strong case on your behalf and increase your chances of getting the maximum compensation due to you.